I've had full days of learning here at the FGS conference, attending sessions in every time slot. Even as a kid I loved school, so I guess it's no surprise that I enjoy coming to conferences like this and adding to my genealogy knowledge. Thursday morning started with the exhibitor hall opening at 10:00 a.m., ahead of the first presentations. I merrily zoomed around and collected free journals, books, and chocolate from vendors. In fact, I gathered so many goodies that I had to go back to the car to drop everything off, so I wouldn't strain my back with all that weight! As for the educational aspect, session topics included an overview of Indiana genealogy (types of records available, when they began, where to find them), letters and claims from emancipated slaves and how helpful they can be when searching for family information, updates from the Records Preservation and Access Committee (have you signed up for the announcement lists yet? ), and a workshop on reuniting Jewish Holocaust survivors and the availability of Jewish resources on the Internet (offered in part to help publicize the new Northeast Indiana Jewish Genealogical Society). The most informative talk I attended was on researching U.S. and Canadian World War I veterans, given by David Allen Lambert of NEHGS. 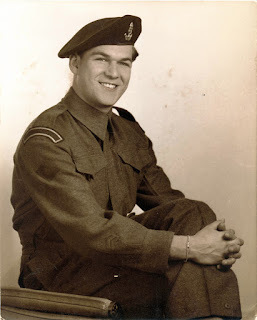 He discussed several record types that were new to me and gave me new ideas on ways to research the World War I vets in my family. I think I learned from more of the sessions I went to on Friday. I began the day with civil registration in Poland. Although I've definitely attended other talks dealing with the subject, Daniel Jones' explanation of the timelines, jurisdictions, and changes were a little clearer to me. Legal Genealogist Judy Russell spoke on early Indiana laws and included some general points I don't recall having heard before: session laws versus compilations/codes, public versus private laws, and additional broad categories to search (legislative records, petitions, committee reports, minutes, debate transcripts, judicial records, circuit/supreme/appelate court records, and territorial/statehood executive/gubernatorial records). Plus she told us how to find the advanced search page for Google Books, which they apparently have tried hard to bury (and she suggested we all bookmark it)! Next up was Tony Burroughs' discussion of black employment after the Civil War. This is a subject I've not seen enough coverage of, so it was all welcome information. He talked quite a bit about farmers, tenant farmers, and sharecroppers (and the differences between them), which is what most of my family research involves. And as is usual with his talks, he included a great list of references for further study. The last session of my day was by Ari Wilkins, on the subject of Quakers (the Society of Friends) and black Americans, particularly before and leading up to the Civil War. This is a fascinating history, and it was easy to see how some of the Friends' work in freeing slaves (purchasing them and then transferring them to free states, where they were manumitted) laid the groundwork for what became the Underground Railroad, with which the Friends were also involved. Friday ended with a great event sponsored by MyHeritage. 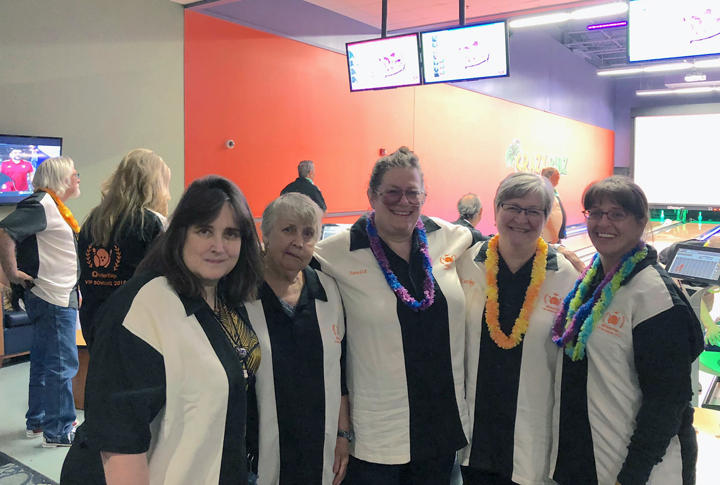 They booked some time at Crazy Pinz, a local bowling alley/entertainment center, for their employees and some MyHeritage Friends who responded to an invitation. We were treated to a "luau buffet" (pulled pork sandwiches, fried rice, macaroni salad, etc.) and four bowling lanes in a private area. Several of us hadn't bowled in many, many years (um, at least 40 for me), but it was a really fun time. 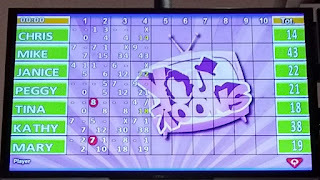 We all got custom-enbroidered bowling shirts, plus we learned that Daniel Horowitz is a pretty good bowler. 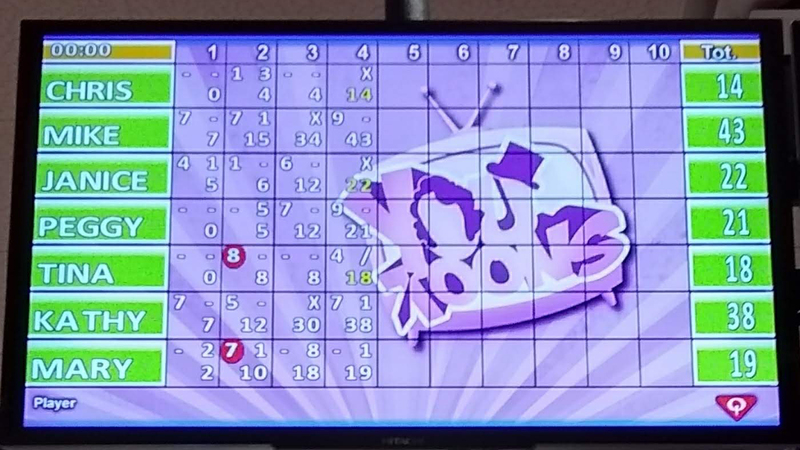 I even managed to bowl one strike in my second game! It figures! I'm out of town, so this week's Saturday Night Genealogy Fun requires I have access to my family tree database, which I don't have on my travel computer. (1) Who is the person with the earliest known birth date in your family tree? Describe how you figured this out. (2) Tell us in a blog post of your own, in a comment to this post, or in a Facebook or other social media post. Please leave a link to your information on this post in a comment. 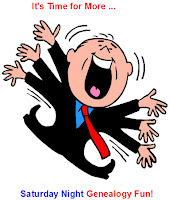 (3) Extra credit :) Who is the person with the earliest known birth date in North America in your family tree? Since I don't have access to my database, I'm going to make an educated guess and then check it when I return home tomorrow. I believe the person with the earliest known birth date entered in my family tree is Georg Söller, my umpty-umpth-great-grandfather on my Sellers line. I remember he was born in 1615 in Weinheim, Baden, but I do not recall the exact date. I got the date from research work done by Edwin Jaquett Sellers (1865–1946), a lawyer and genealogist from Philadelphia. He self-published several books about his family research, including two books on the Sellerses. The first (available as a download through Google Books) was in 1903, and he put out a revised edition in 1925. I've double checked most of the information I have found in the books and found it to be accurate, so I think Georg's birthdate is probably correct. As for how I checked it within my tree, I just remember these things, plus I don't have many lines back that far. The person with the earliest known birth date in North America is probably someone on my Gauntt line, but I have no idea who. That I will also need to check when I return home. So look for an update to this post in the near future! I was only partially correct about (Hans) Georg Söller. I have his birth year, which is 1615, but not his actual birth date. The earliest birth date I have recorded in my tree is Georg's grandson Hans Paul Söller, who was born February 26, 1667/1668 in Weinheim, Baden. Paul is the brother of my ancestor Hans Adam Söller, who was born December 13, 1669, also in Weinheim. The earliest North American birth date in my family tree appears to be that of Ann Pharo, who was born about December 14, 1677, probably in New Jersey. She married Thomas Ridgway, and they had a dughter, Ann Ridgway (October 10, 1710–February 6, 1794), who married Hananiah Gaunt (March 2, 1706/1707–Aptil 1792). He is the oldest Gaunt I have entered in my family tree so far, although I have information going back to 1508. So the earliest known birth date in North America in my tree is indeed someone on my Gaunt line, even if not born a Gaunt herself. So I was lucky enough to win a registration to this year's FGS conference, and here I am in Fort Wayne, Indiana! (The last time I was here was 24 years ago, when I still worked full time in the adventure game industry.) Librarians' Day and Society Day fall on the Tuesday and Wednesday preceding the main part of the conference, and I learn a lot at these days also. • The importance of labeling photos and what to do if they aren't. Even if photos aren't labeled, you can still look at the context, such as signs, geography (mountains, lakes), dateable items such as cars, etc. to garner information about them. Recording the provenance is very important, as that might provide context also. • The best method for scanning photos (this was actually answered by a professional in the photography business who was in attendance): Scan at the highest resolution that is practical (300 minimum, 600 better, and 1200 if you have the storage space) and save in TIF format. As a corollary, saving files in at least three locations was also brought up (because Lots Of Copies Keeps Stuff Safe [LOCKSS]). 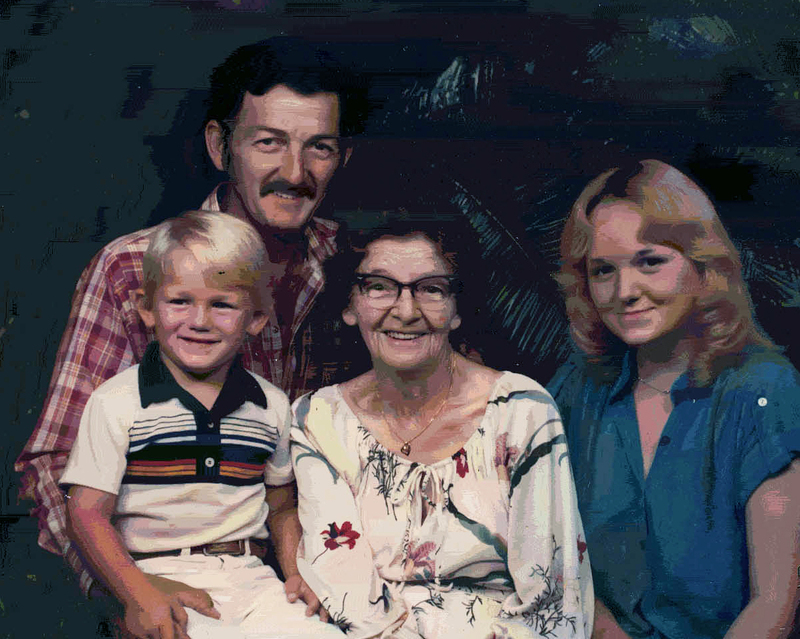 • The confusion surrounding which files on FamilySearch.org are available in which locations. An icon identifies whether images must be viewed at a Family History Center or affiliate library, but nothing differentiates between which of those can be seen *only* at a Family History Center and not at the affiliates. The good news is that almost everything that is restricted can be viewed at both, but no solution right now to let you know quickly which can't. • Limited hours at several Family History Centers. Family History Centers are governed locally, and not all of them are able to provide enough volunteers to be open more regular hours. Because of this, FamilySearch has been expanding the affiliate library program (currently at more than 400 libraries), so that restricted digitized images can be more widely available. 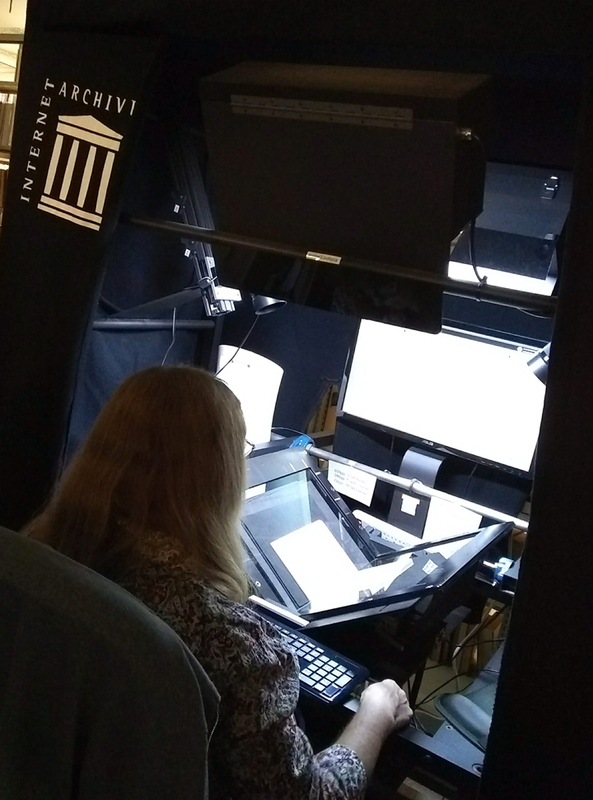 • What to do when newspapers no longer sell microfilm for archival purposes but refer libraries to online subscription options. This one had no good answer. Because microfilm has become so expensive, it isn't a viable option for many companies anymore. Unfortunately, online subscriptions leave the libraries (and everyone else!) owning nothing, so when you drop the subscription, you have nothing to show (like Microsoft and its online Office 365 software). You are essentially only "renting" your access. We were told that the Sacramento Public Library paid more than $1 million to have the Sacramento Bee digitized from microfilm that it provided (but were not told which aggregator stuck it to them). This situation is only going to become worse, and the large information aggregators (ProQuest, NewsBank) will be holding libraries hostage. • Where to share copies of family histories, research, photographs, etc. Share them everywhere that they could be considered relevant: Allen County Public Library, FamilySearch, local genealogical and historical societies, Internet Archive, ethnic societies, and anywhere else you can think of. Always check with the repository first to make sure it will accept a copy (whether physical or digital), but the more places the information is available, the better the chances that someone who is interested will find it. And a couple of comments from Curt Witcher: We should all be trying to pursue, preserve, and present stories. And facilities always appreciate feedback from visitors. Think about the latter the next time you go to an archive or library — offer feedback before you leave! Librarians' Day ended with a behind-the-scenes tour of some parts of the Allen County Public Library (ACPL): the Genealogy Materials Handling Unit (intake and assessment of donations), FamilySearch Book Scanning (a partnership with ACPL), Internet Archive (another partnership with ACPL), and the Lincoln Collection Library and Fine Book Room. It was so interesting to get insight into how donations are processed, see ongoing scanning of public-domain books, and view many original Abraham-Lincoln-era photographs, letters, and newspapers. Wednesday was Society Day, with sessions geared to those of us in leadership and volunteer positions in genealogical societies. I attended a session on how to apply business management principles to society procedures and processes, and one on leadership and conflict resolution. Both had a lot of useful information I will be taking back to the societies with which I am involved. In between those two sessions I went to the annual FGS meeting, attending as the delegate of the San Francisco Bay Area Jewish Genealogical Society. I had received notices about the meeting and had been wondering why no agenda was distributed beforehand. That question was soon answered. The entire annual meeting took three minutes. The agenda was shown on a screen and was approved by voice vote. The treasurer said that the society had been audited and was in good financial standing, with no details. No announcements were made, and the meeting was adjourned. I'm not sure why delegates are even encouraged to attend. The final event I attended on Society Day was the presentation by Judy Russell, the Legal Genealogist. Titled "Preserving the Past, Protecting the Future", Judy's talk focused on the attacks that have been made over the past several years on records access and facilities budgets. Citing circumstances such as the loss of the most recent three years of the Social Security Death Index, New York City's decision to severely restrict birth records (older than 125 years) and death records (older than 75 records), and the encroachment of the Right to Be Forgotten into far too many areas (including a proposed Indiana law that would allow the total destruction of someone's criminal records, leaving no trace that the crime ever occurred), she declared that it is the calling of genealogists to serve as guardians of history. And how do we do that? We need to stay informed, join together, and reach out. You can stay informed by signing up for notifications from the IAJGS Public Records Access Alerts List, which sends out announcements related to access to public records. You can also stay informed about the activities of the Records Preservation & Access Committee, a joint venture between several genealogical groups, which monitors records access issues. Joining together has been effective in several instances of keeping repositories open and reopening facilities that have been closed. And efforts to reach out should include a broad range of individuals, such as archivists, librarians historians, the news media, and medical researchers. In Judy's words, we all need to pitch in, speak up, and meet up. I took my first step tonight. I've written to RPAC, asking how I can help. What will you do? It's time for another family history challenge from Randy Seaver for Saturday Night Genealogy Fun! (1) Reader Doug Greenhill suggested this challenge: "What is the time span between your first known immigrant ancestor to your last known immigrant ancestor?" (2) Tell us in a blog post of your own, in a comment to this blog post, or in a status line on Facebook. Leave a comment with a link to your blog post if you write one. Of course, since I am out of town and don't have access to my family tree database, this week's challenge involves details from said database. I knew it would happen. But I can make estimates. 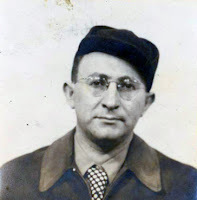 My most recent known immigrant ancestors were my great-great-grandparents Gershon Itzhak Nowicki and Dobra (Yelsky) Nowicki, who arrived in the United States on August 22, 1922. They came on the S.S. Laconia, which docked in New York City. My earliest confirmed immigrant ancestor is from the Gaunt(t) family. It's someone who came in the 1600's, but I don't remember his name or what year he came. Because I can't look up the information right now, I can push his arrival to the very end of the century, to 1699. That makes the interval 1699 to 1922, for a total of 223 years. I'm supposed to descend from someone who came on the Mayflower in 1620. If accurate, that would make my time span 302 years. Observant readers may have noticed that I slightly modifed the phrasing for this challenge. At least Randy, if not Doug Greenhill also, used "direct ancestor." Being an editor, this phrase drives me crazy. An ancestor is someone from whom you descend. "Direct ancestor" is redundant, because there is no such thing as an indirect ancestor. If it isn't a direct line, the person isn't an ancestor but is a collateral relative. 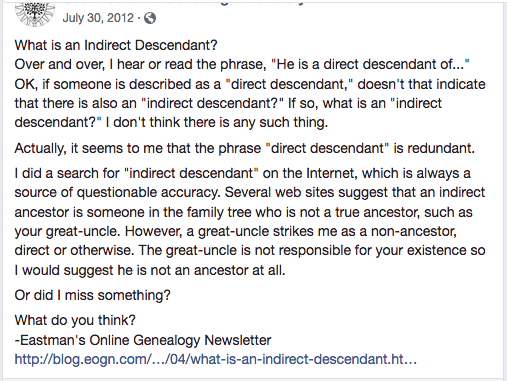 Similarly, there is no such thing as an "indirect descendant." Either someone is a descendant or is not. But when I clicked on the link in the post to Eastman's blog, https://blog.eogn.com/eastmans_online_genealogy/2011/04/what-is-an-indirect-descendant.html, the result was "Something's Missing / The content you're looking for doesn't exist at this address. Continue browsing, or try searching for your content using the form below." So I did try searching for the content on the form. 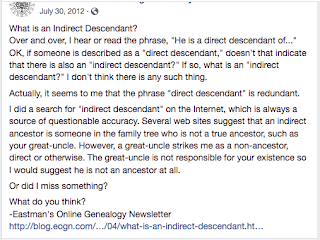 And the phrase "indirect descendant" no longer appears on the site. "Direct ancestor" and "direct descendant" show up several times each, but in other posts, the text in some of them apparently copied from press releases and some in posts written by Eastman himself. So what it looks like is that now that he has decided the phrases are ok to use, he deleted the one post that attacked them. Or did I miss something? Saturday Night Genealogy Fun: How Many of Your Ancestors Are in the Social Security Death Index? (1) Michael John Neill wrote a blog post this week listing his ancestors who have entries in the Social Security Death Index (SSDI). He had seven ancestors in the SSDI. (2) This week, review your files and determine which of your ancestors has an entry in the Social Security Death Index (free on FamilySearch.org; see https://www.familysearch.org/search/collection/1202535). How many do you have? (3) Tell us in a blog post of your own, in a comment to this blog post, or in a status line on Facebook or Google Plus. 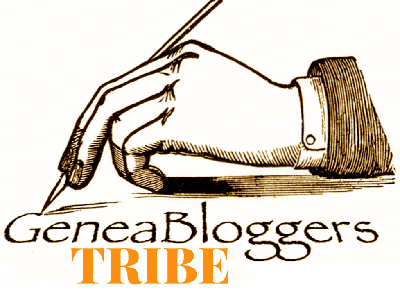 Leave a comment with a link to your blog post if you write one. So I have five, possibly six, ancestors who appear in the SSDI. 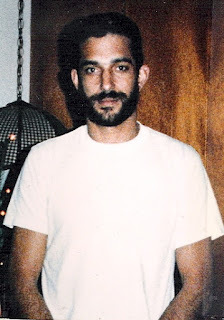 My father is still alive. I'm not sure if it's my great-grandmother Sarah Gordon or not in the SSDI, and that person does not appear in the claims index. On the other hand, I do have three ancestors who appear in the Social Security Claims Index. Both of my grandfathers, Abraham Meckler and Bertram Lynn Sellers, are in there. 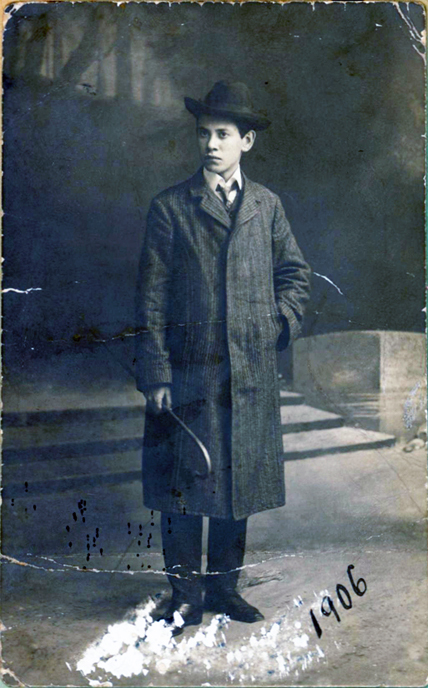 My great-grandfather Joe Gordon (~1892–1955) is also in the claims index, although he does not appear in the SSDI. None of the rest of my great-grandparents is in either database, and my most recently deceased great-great-grandparent, Gershon Itzhak Novitsky, died in 1948 and also does not show up. And I had my own strange search result with the SSDI on FamilySearch. I looked for my grandmother Lillyan Meckler under those names with her year of death and did not find her. When I searched for Esther Meckler, however, she was the only good matching result, with the full name of Lillyan Esther Meckler. So I had the same kind of weirdness that Randy did while searching for his mother.